So lately my skin has been better than ever. My face is even in tone with no pesky redness, hydrated and radiant. I honestly can’t remember the last time my skin was this good without medication. The reason why? 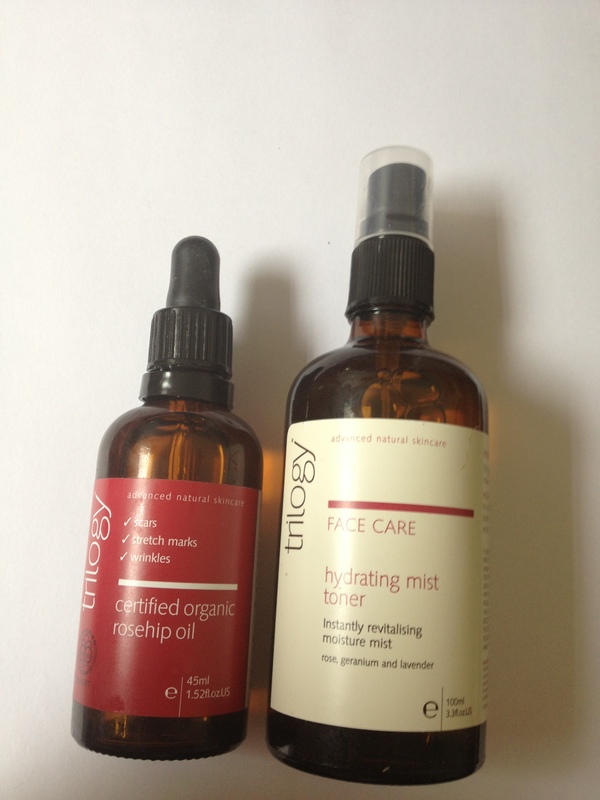 A cheeky little duo that was released in stores today by one of my new favourite brands, Antipodes. Their new Moisture Boost Mini’s contain a duo of two miniature sized products that work together to create moisturized and hydrated skin. My skin has been loving the combination of these two natural products and I can see this becoming my staple skin care routine for sure. So what are these two products? 1. Divine Face Oil with Avocado and Rosehip (10mL) – the first step in this mini skincare regime is applying this organic face oil over the face and neck area. This oil absorbs really well into my skin and immediately hydrates it. 2. 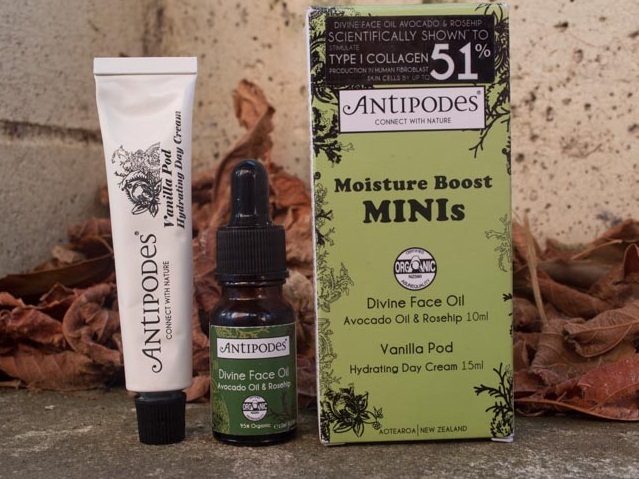 Vanilla Pod Hydrating Day Cream (15mL) – Step two is to apply this beautifully scented vanilla day cream which contains manuka honey for helping prevent blemishes and anti ageing antioxidants. When this is applied over the top of a thin layer of the face oil the combination leaves my face deeply moisturized and radiant for the entire day. Although these two products work great at as a combination I love each of these products by themselves as well. I often use the face oil at night before bed because I love waking up to skin that looks healthy and nourished. The day cream is a perfect moisturizer for my skin in the morning as it hydrates without feeling heavy or greasy and my skin stays smooth and moisturized for the entire day. I can’t think of anything negative about these two products and I am 100% sure I will be purchasing another mini duo to take travelling as well as the full size products to use as part of my daily skin care routine. These mini duo packs are a great way to try out these products without committing to something new that might not be perfect for you. At $19.90 the price is very reasonable and despite their size, go a long way. I have been using mine daily for almost a month now and am only about half way through. They are also limited edition so get in there and try them while you can! You can buy these directly from the website or from stores like Farmers and selected pharmacies or health stores. Happy Monday and cheers to another crazy week trying to manage 5 million things at once! Today I bring you a much overdue post about a Nail launch I attended a couple of weeks ago. When I got the invite I must admit I was very excited, the chance to play with beautiful nail polish and chat with talented nail technicians was my idea of heaven. The evening did not disappoint. 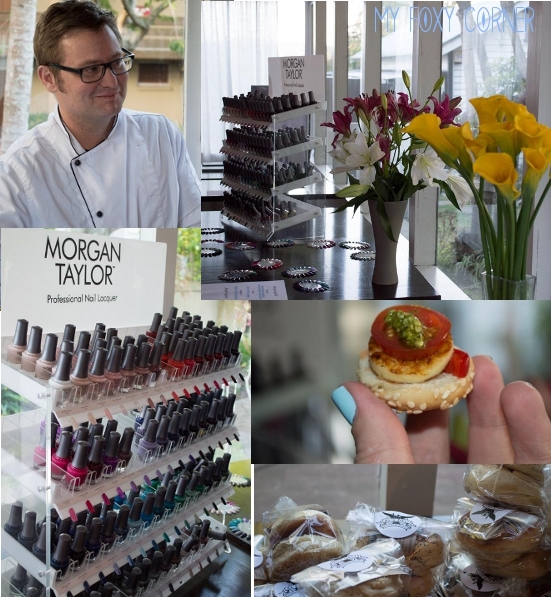 The party was held to welcome Morgan Taylor nail lacquers into the New Zealand nail industry, hosted by their wonderful New Zealand distributors Monaco Nails and Beauty. The launch was held at the rather beautiful Devereux Boutique Hotel in Remuera. We were welcomed in with glasses of Lothlorien wine (which is one of my all time favourite New Zealand wines, so much so that they were a big feature at our wedding!) and got chatting with the wonderful Monaco staff who were bubbly (like the wine) and full of knowledge about Morgan Taylor and what they have to offer. We then had the opportunity to get our nails done with a Morgan Taylor colour of our choice…and there were a lot to choose from! I couldn’t think of any colour or finish that was lacking from their impressive collection, so of course choosing was nearly impossible. All of their colours were pigmented and glossy and the metallic shades were full of incredible shimmer and glitter. I finally decided upon the gorgeous “Water Baby” after seeing Katie from The Dizain Collective get her nails painted this beautiful baby blue colour. Even better we got to take our chosen colour home so I think I know what I will be painting my nails from now on. We all had such a wonderful time! Thank you to the wonderful Monaco girls for giving us such perfect manicures (mine lasted forever!) and to the generous sponsors. Check it Monaco Nails and Beauty on Facebook and while your at it, take a gander at Morgan Taylor and their beautiful new range. If you want to treat yourself with a Morgan Taylor manicure head to Monaco at Ellerslie or book an appointment through Penny on 09 574 5573. You won’t regret it, although make sure you allow plenty of time to decide on a shade to adorn your nails with, its not an easy decision. If you want to see evidence of their wonderful work with these wonderful polishes go and check out their Brand Ambassador Meagan who is always posting drool worthy manicures. 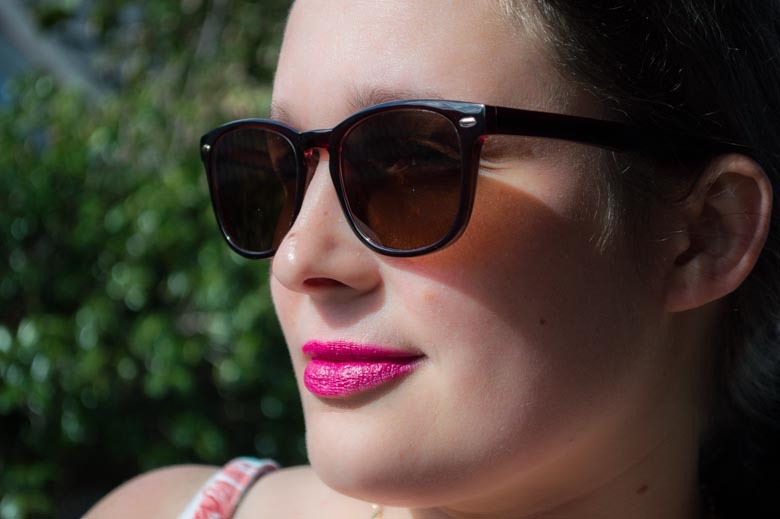 Well it has been a little while since my last post but what better way to get back into it then by showing you my new favourite pink lip! 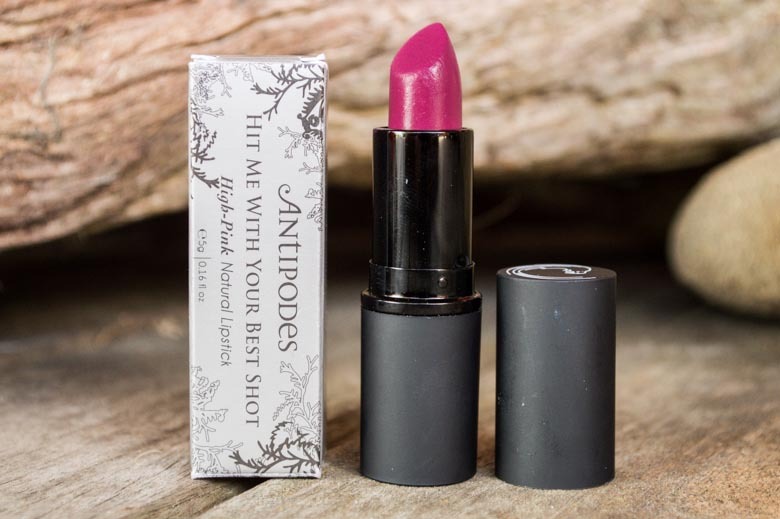 Hit Me With Your Best Shot; a bright pink Natural Lipstick by Antipodes NZ. One of their natural mineral range that claims to be creamy, pigmented, matte with a slight shimmer (sounds contradictory but save your judgement for a moment). I won this from Fashion Pas’ beautiful blog and was excited to try makeup from a skincare brand I love. Straight off the bat I was in love with how pigmented this hot pink came across in one smooth, single swipe of my lips. The formula is creamy and feels lightweight which I love. 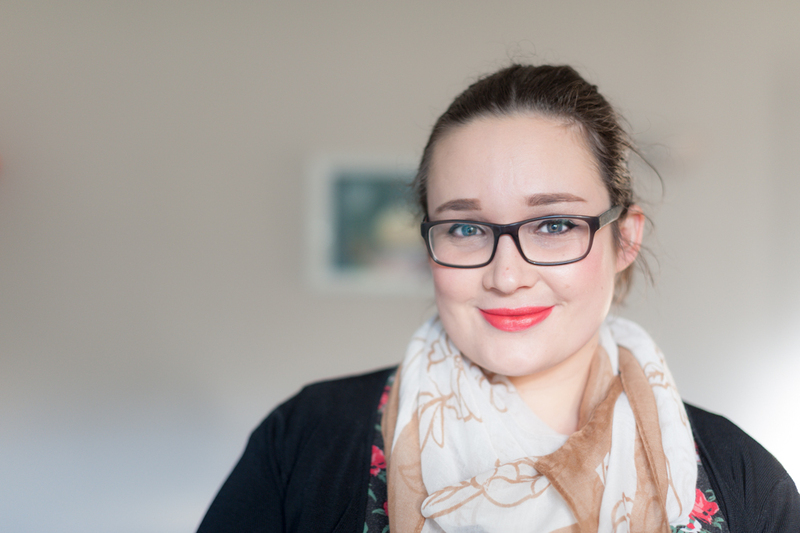 The best part of the formula was how it felt hydrating and moisturizing all day long and I didn’t experience any of the dreaded dry-lip syndrome. The colour is a perfect hot pink for me. 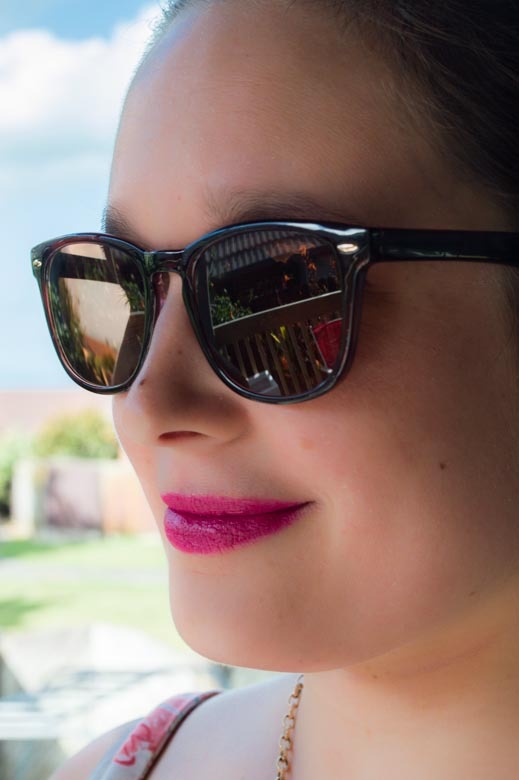 Not too warm, not too cool but a great tone that suits a natural look (aka I forgot to wear any other makeup, hence the sunglasses) but would also look smashing with a smokey eye. The finish was kind of confusing, but in a great way. Like the branding claims, it does settle to a pretty matte finish however there is a tiny bit of very natural shimmer that keeps it looking fresh and playful. Lasting time was surprising to me as I thought it would wear quickly judging on how moisturizing it felt on the lips. I reapplied this once during the day, but even that was mainly out of habit. I ate, drank, talked (a lot) and yet although the colour lost some intensity it wore in a very natural way and remained bright on the lips. Lastly, but importantly for some the packaging. 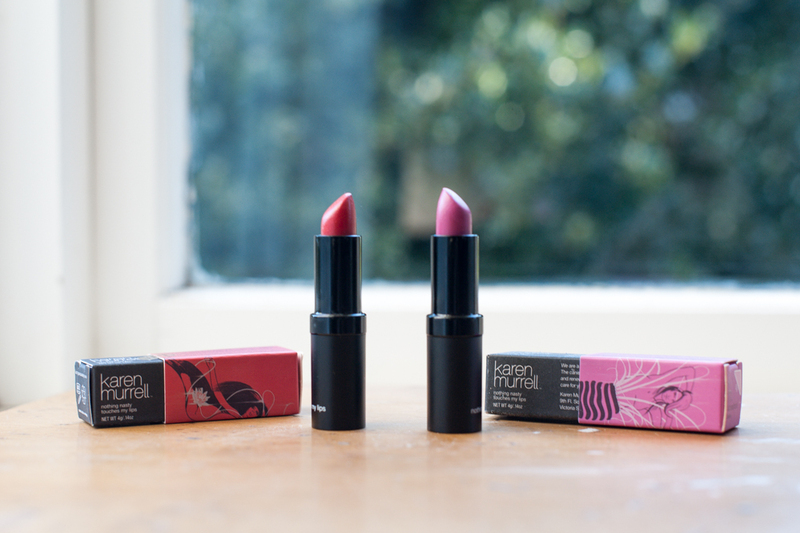 I like the simple packaging of Antipodes’ lipstick range. The simple smooth, matte tube was pretty standard but sturdy. It looks like a premium lipstick without seeming over the top. There is a cute bird design at the top of the tube which helps me pick it out quickly although if I owned a few more of the same brand it might get a bit tricky (think along the lines of trying to find a particular Mac lipstick). Buy it from one of their stockists in New Zealand or Australia (mainly) or pick it up direct from the website. NZ $34 which is not the cheapest but for a premium brand like Antipodes I was expecting to pay more. 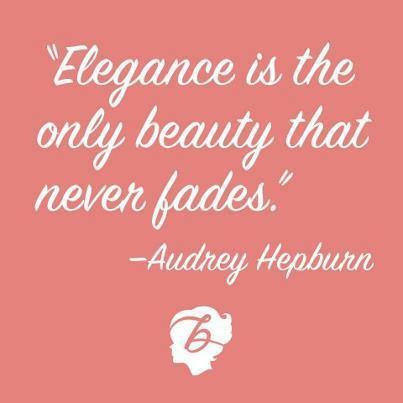 The beautiful pink colour that is flattering and easy to wear but still bright and fun. The lightweight, moisturizing formula but the long-lasting power. The rather unique matte/shimmer finish that looks natural and fresh without making the lips look dry. Being pretty picky here but when first applied it has a bit of transfer. Although if you can find me a lipstick with zero transfer I will love you forever. 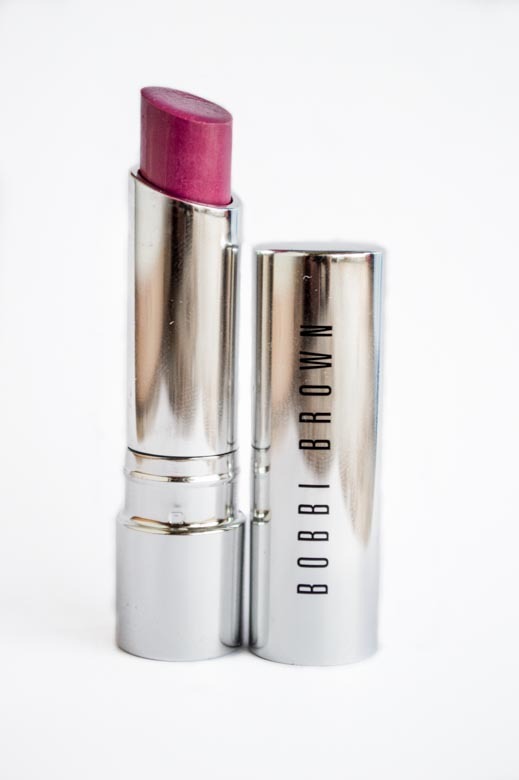 Some will think the price is a bit high, but for me the quality is as good if not better than some of my Mac lipsticks so I think it’s worth it. Okay so technically I won this and didn’t pay a cent. Without ever trying it out I wouldn’t have given it a second glance, I save my splurge lipsticks for the Mac counter. 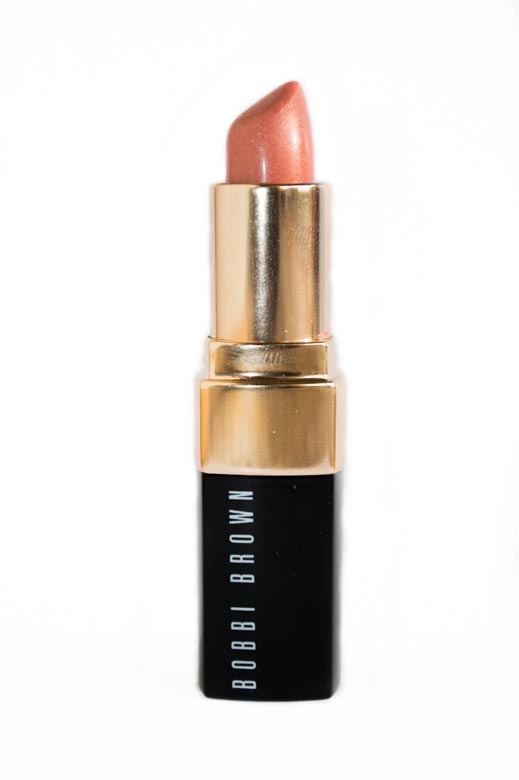 Now that I have tested it out and realized that this could very well be my new go-to pink lip I would happily pay every cent to repurchase (or to buy a couple more…I have this dusky, vintage pink shade on my current wishlist). Overall a big winner in my book and a new makeup bag staple for when I need to add a bit of colour to my day. Hope everyone in the southern hemisphere is surviving the freezing weather at the moment!! I am combating the cold weather with slow cooked curries. 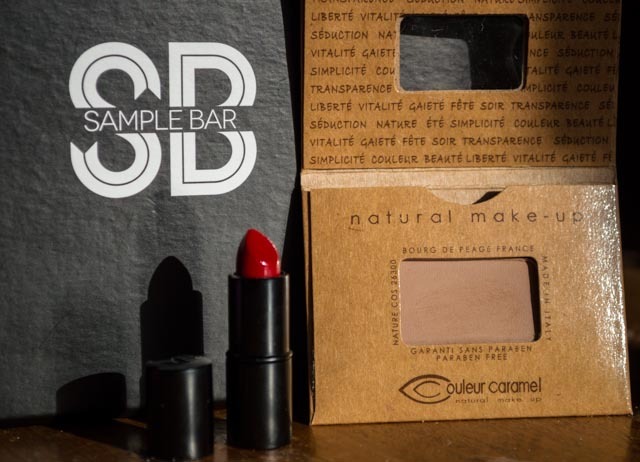 Last month my Sample bar box may have not been posted….sorry! It was a fine box but I wasn’t super excited and was rather busy. Having said that (spoiler alert) this month wasn’t super amazing either. Having said that let me show you what was included this month. On to the actual products, the first TLC product I saw was what looked like another travel tower of skin care. Although the idea is awesome, I don’t go travelling much (I wish) so I wasn’t super excited. Having said that it is still a great way to sample a line of skin care from a brand I have never heard before. 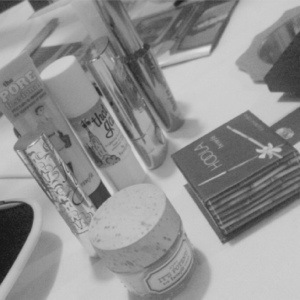 This brand is Moreish and the tower includes day cream, night cream, eye cream and salvation balm. Straight up, I have tried all 4 and am rather impressed. This is another New Zealand brand that uses argan oil and local ingredients to create skin care that is perfect for winter. The full size of these products range from $24.99 to 34.99 and can be found at mot pharmacies. Next up was a 50mL sample of Joico K-PAK Reconstruct for damaged hair. I am not big on hair care, I probably should be but I am not. I don’t get excited about hair samples and have no idea about most haircare brands so hopefully this one is a winner. This sample is a decent size (full size is 150mL, $32.00) so hopefully I can get a good feel for how well this strengthens my hair. 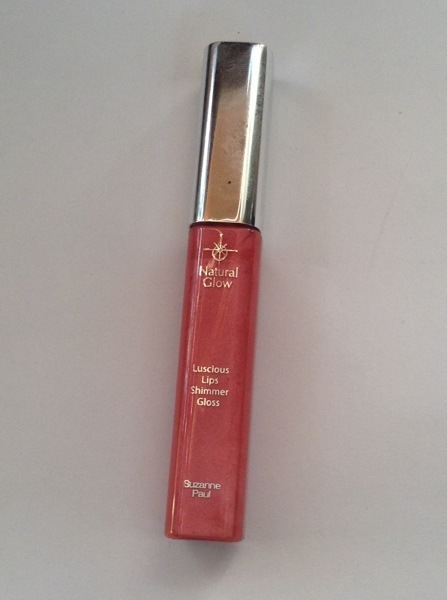 The only full size product was a Natural Glow Luscious Lips Shimmer Gloss in the shade Sugar Rose. First up, this brand feels really outdated to me… I was pretty unimpressed to be honest as I have grown to expect lots of trendy new brands and products whilst this lip gloss feels like they are trying to get rid of stock…The lip gloss itself is pretty average. The colour looks okay, a mid-toned pink however it’s a little frosty and glittery for me. The only positive to this lip gloss is the smell of cake batter which is definitely pleasant. Not a big winner for me sadly and at $25.00 from the Samplebar website I won’t be rushing to buy more. Okay last up in terms of “real” products is a set of 4 sachet samples for the DermaLab skin care range. This range is affordable ($14.99-20.99) and another line from a New Zealand brand including nice stuff like Manuka Honey. I received 4 of their 5 products in their rescue regime. This included the cleanser, moituriser, shampoo and conditioner. All of these are great for sensitive and dry skin (which sums up my skin, especially in winter). As happy as I am trying out more skincare I feel like maybe one brand being featured with 4 products would have been enough and maybe something different would have been more interesting. I’m also not a fan of sachet samples as you only get one or two uses and they are a bit of a pain. Oh well. So the very last “product” was a sample bar eye mask….Not super exciting but I guess il try using it. Apparently retails for $6.00 but to me this felt like an extra and didn’t contribute much to the box. So that was kind of negative….It wasn’t a terrible box…I liked the skin care sample tower and the Joico hair reconstructor might be good but all in all this is my least favorite SampleBar box so far. Too much skin care, crappy full size lip gloss and just overall pretty meh. 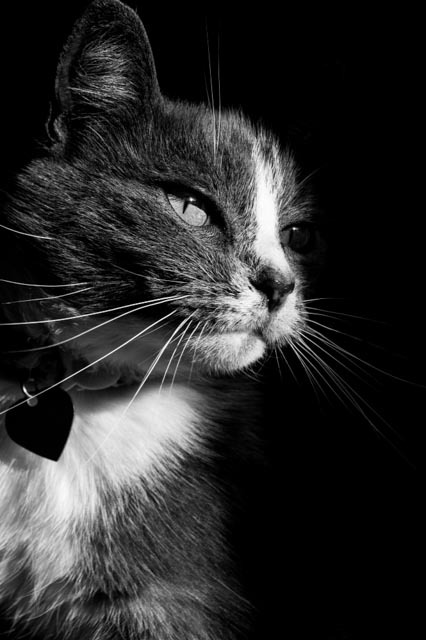 Sorry if this sounds a bit whingey! I am still a fan of SampleBar and hopeful that next month brings a more fulfilling box. 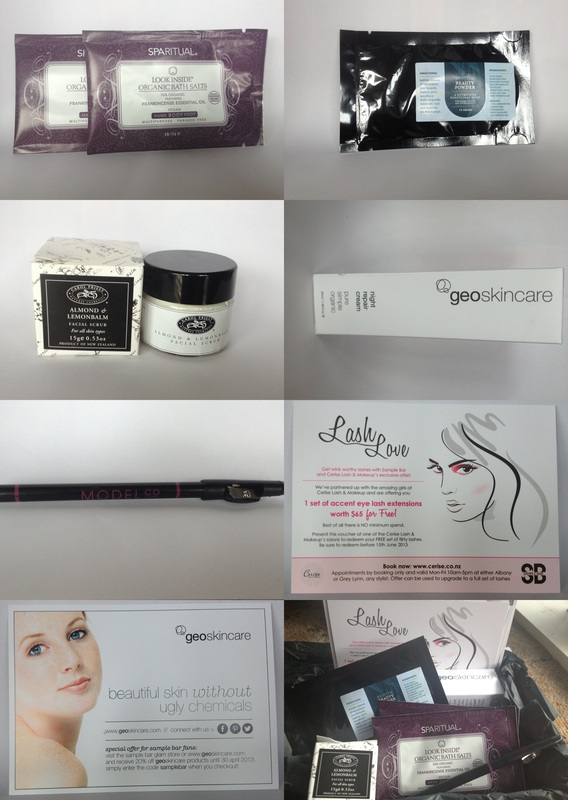 If you are a subscriber please let me know how you felt about the products you received this month! Check out the SampleBar website to learn more. See you soon with a hopefully happier post! Hi all! Small absence in blogging due to life and the work that seems to destroy every day leaving me tired and lacking motivation or energy for blogging haha. But I am attempting a return and attempting to set up more of a routine in terms of blogging so that hopefully it will be a bit more regular. 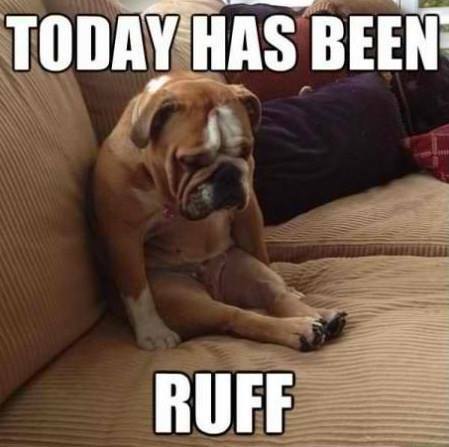 However I am sure I have said that before…. 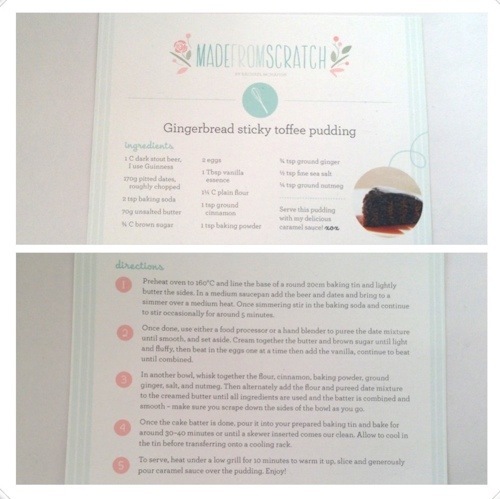 When I heard a while a go that Benefit were launching here in New Zealand I immediately started stalking their website in order to create imaginary shopping lists of products I was most excited to try out! In fact a little while a go I posted my top ten products from Benefit that I was most looking forward to meeting. 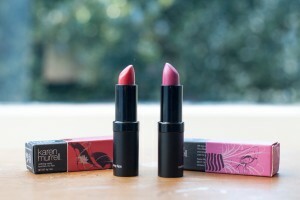 Skip forward a little and last week on Wednesday I had a wonderful night at the Benefit cosmetics blogging launch at a lovely little venue called Nostalgia in Ponsonby. Not being a “beauty blogger” in particular I was actually rather surprised to be invited (pleasantly surprised I should add) and excited for the days leading up. The event itself was a wonderful chance to meet some beautiful faces from twitter and learn a lot more about a brand I haven’t had any experience with. The night was full of lychee cocktails, delicious nibbles and some fantastic demonstrations of some classic products in their line as well as some brand new additions to the benefit family. Some highlights of the night included the brow bar demonstrations and then a chance to play with the products myself as well as the time to chat with fellow bloggers about products they had already tried. 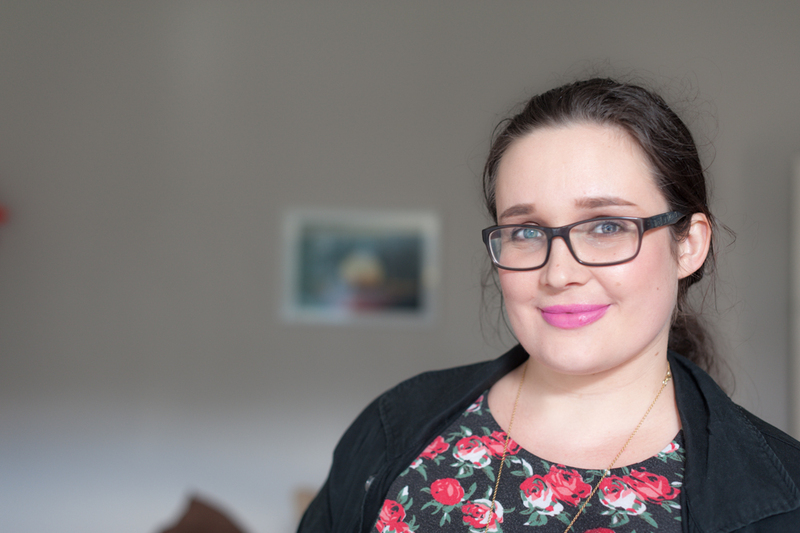 The launch of Benefit cosmetics in Auckland was a pretty exciting moment for us who are often left behind by some international cosmetic brands. The day after our blogging evening their first city counter opened at Smith & Caughey’s on Queen Street so definitely go and check them out at their amazing brow bar. 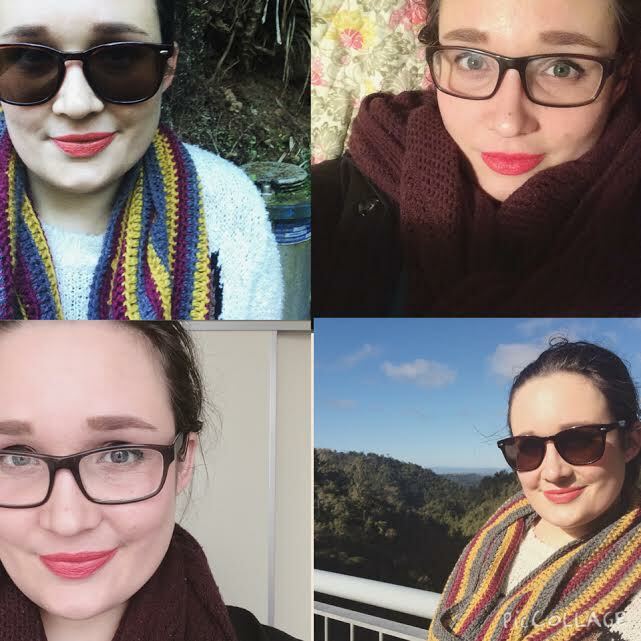 Also to get yourselves in the draw for a sneaky giveaway for three of their iconic products (They’re real mascara, Porefessional and Benetint) head to their counter and snap a photo of yourself to tweet/instagram to them with the hashtag #hellogorgeousnz. Good luck! My picks for what I want to buy rather urgently include the Brow zings kit (which one of the beautiful ladies demonstrated on me and was INCREDIBLE) as well as their classic Benetint (which has a rather funny story regarding its invention). Next up on my radar might be their lovely and light foundation as well as their very unique Fakeup concealer (which looked like it would be perfect for my dry skin as it has a hydrating outer ring as well as the concealing inner core). 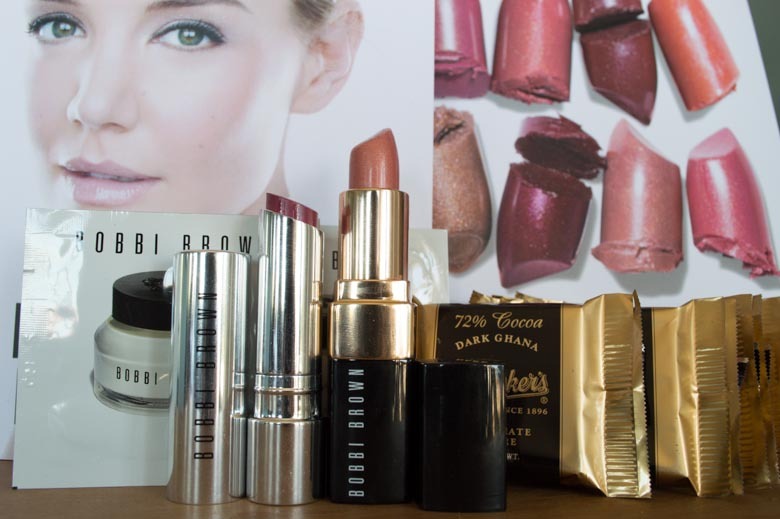 So there is my run down of what I expect to become a long and lovely love affair with this great cosmetics company, brand new to New Zealand! Keep your eyes peeled for a review on a couple of their classic winners. What are your opinions of Benefit and their products? Disclaimer: Just in case you were wondering, my involvement with the blogging event was a lovely surprise but does not mean these opinions are not my own. I was not asked to write or share my opinions on Benefit (in fact I wasn’t asked to do anything) but I did happen to fall in love with some of their products as well as their general brand image which I believe is fun, creative and unique. Hi All! Another month, another Glam Pack to share with you all. Last month I said I was probably stopping my subscription…obviously that didn’t happen. I accidentally on purpose missed the date to cancel my subscription by and so was stuck with this month’s box haha but I’m not complaining because I rather like what was provided this month. I do plan on cancelling my subscription however we shall see if I actually make it this month. Anyway, the products this month centered around the theme of pampering oneself now that Summer has supposedly abandoned us. Here’s what I got! 1. Spa Ritual Bath Salts: These came in two little 17g sachets, I would assume enough for one relaxing soak each, however I unfortunately lack a bath in my flat and so these may be used for a foot or hand soak instead. They come with frankincense essential oil along with a bunch of sea salt and dead sea salts. They are 70% organic which is 70% great to hear and are made with vegan ingredients. All in all I’m excited to try these out and compare them to my trusty Epsom bath salts. The full size of this (220g) is $47.99 which is pretty steep compared to my $10 tub of epsom bath salts (to which I just add my preferred essential oils) so not sure I will buy this in the full size. 2. Bestow Beauty Powder: Another sachet, this time containing a bunch of flax seed, pumpkin & coconut flour, spirulina, black current extract and other good things that should ” feed your skin from within”. I love the idea of this product and the fact you can sprinkle it onto pretty much anything, from a smoothie to a stir fry, to get a boost of skin enriching ingredients. I doubt one use is at all useful in showing any kind of positive result but I still appreciate the chance to try out the product in terms of taste. The full size (300g) is available for $45 which might be a fair price depending on the nmr of uses one would get out of that size. 3. Carol Priest Almond & LemonBalm Facial Scrub: Another little sample that I was very pleased with is this little glass tub of gentle, creamy exfoliant from a brand I have never heard of. Apparently this can be left on as a rich protein mask for the skin as well which I may try! Smells interesting but in a good way and is full of nice sounding ingredients such as lemongrass (which is the main scent for me), ground almonds and other herbal oils so I am looking forward to trying this out. Also I am thankful for the decent sample size which is important when trying skin products out properly. The full size (50g tub) is $58.60 which seems a little expensive for me but we’ll see how it goes. 4. GeoSkincare Night Repair Cream: A beautiful full size of this was lovely to see when I opened the box. I am a sucker for a good night cream and have to admit I have already slathered some of this on my face! It feels rich and hydrating and a little goes a really long way. This brand, which I haven’t used before, seems to stick to healthy ingredients, steering clear of parabens and artificial fragrances which makes my sensitive skin very happy to hear. One other thing I love is that this is in a pump not a container so you get much more hygienic application! I wish more creams came like this. Full size product (50mL) is on SampleBar for $43.92 and I may consider repurchasing. 5. Model Co Eye Define Black Eyeliner: The other full size product was a black eye liner from Model Co (the same company that provided the excellent lip gloss from last month’s box). I wasn’t dissapointed or excited by this at first, I use black eye liner so nothing wrong with trying another but I wasn’t over happy. Then I tried it on my hand and was much more excited indeed! This pencil eyeliner is the smoothest I have ever tried. Its very pigmented and glides on like butter! Normally I stick to liquid or gel for a wing on my lids but this works so nicely that it turned out perfect for doing a gorgeous winged eye. Very pleased indeed and at $26 for full size I may well repurchase. Last up were two vouchers included in this month’s box. The first is for a set of accent lashes at Cerise Lash and Makeup with no minimum spend so I will definitely try and make use of this. The second voucher is for 20% off any geocare products purchased on the sample bar website before the end of April which is great if I want to try any of their other items. 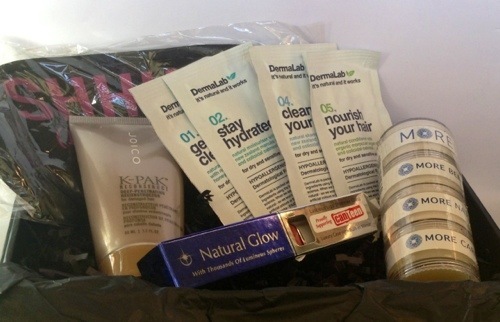 Over all I was very happy with the full size products in this month’s box and the samples were pretty good too! Makes it much harder to go through with cancelling my subscription haha (Just FYI I am not cancelling because of the quality of the box but more so because I could use the money each month on one product that I really want and with money being tight this seems like the better option)! If you would like to sign up for next month’s box head over to SampleBar (don’t worry, I don’t get any incentives for sending you there through that link).